by following some the advice below. This article contains the best BASIC advice you’ll find on the DJI Phantom and DJI Phantom Vision drones. Whether you take our advice is, in the end, up to you. Our mission is to save you time, trouble and money…but we can’t help you unless you help yourself. You might want to read one of our other articles…Reasons you should NOT Buy or Fly a Drone! We have published two beginner books (ebook or paperback) on hobby quadcopters – if you are at the beginning of your journey, you may want to pick up one or both of them…more on the books at this link. 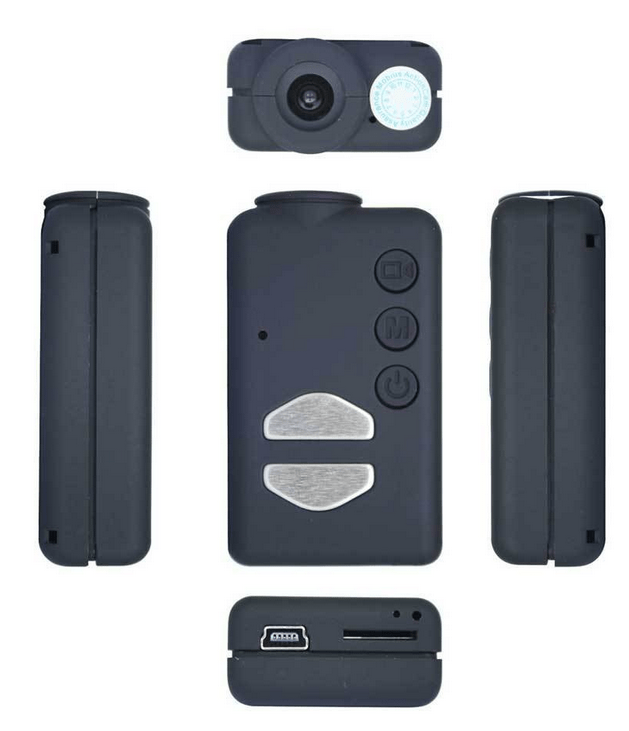 SJCAM is a Chinese based maker of budget sport cameras. Their earlier models, such as the SJ4000 (approx. 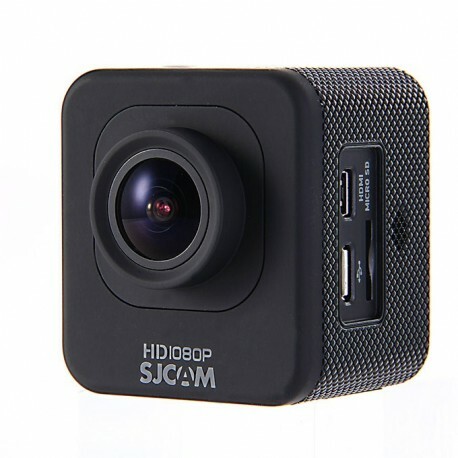 $110), are low priced copies of the GoPro rectangular style which have gotten very good reviews. The SJCAM M10 ($100 w/accessories, $70 bare) is a newer cube shaped model which we assume contains many of the same innards as the SJ4000 model. This First Look and Review will focus mostly on the use of this camera for aerial photography and video. As Promised, Parrot released their new BeBop Quadcopter at the beginning of December, 2014. The BeBop drone has been in development for over 2 years and contains some very innovative features at a reasonable price. The bigger question is – will it live up to it’s promise? Note – we just added a First Look which touches on some important items involving the new Bebop. You’ve all seen them. Videos produced via quadcopter that are smooth as glass with awesome music tracks that look ready for the big screen. Then you look at your latest video and it looks like you’re filming the apocalypse. Everything is shaking about, the jello is making you nauseous, and the whine from your motors is giving you a headache. So what’s the trick? Well, quite frankly the only way to get smooth as glass professional quality video is to spend some money on a larger quad and a good quality gimbal. Even with a gimbal though there’s no free lunch. Gimbals are expensive, add complexity to your quad, and shorten your flight times due to the added weight. There’s no denying they produce stellar video, but they’re not for everybody. 1. Small LCD screens – sometimes built into the TX, other times mounted above it. 2. Goggles – popular models include the Fatshark and the new Epson Moverio – in the near future, the Occulus Rift will likely be an important addition to this category. 3. Smart Phone or tablet screen – existing products such as the Phantom 2 Vision+ and the Parrot AR Drone use IOS or Android devices to display the camera output from the flying drone. In this article we will put together a simple FPV system which could be installed on any quadcopter with enough payload to carry the weight. 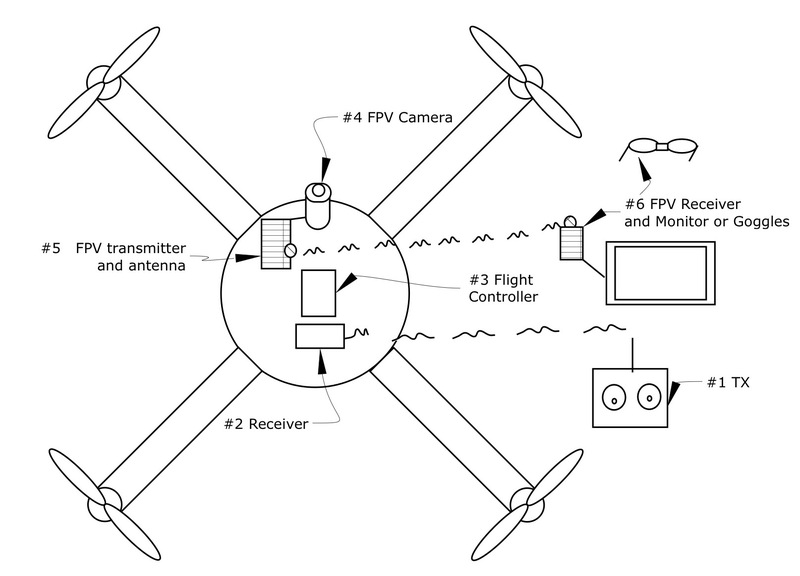 Most modern quadcopters are controlled with an R/C radio that uses the 2.4GHZ frequency band. Therefore, this frequency cannot be used for a companion FPV system since it may interfere with your R/C radio control. FPV systems are typically sold in the 5.8GHZ frequency band, although you can also get other frequencies. In this intermediate level exercise, we’ll put together a very basic 5.8GHZ system. This system took less than one hour to assemble and test, making it an easy project for those who want to start working with some DIY aspects of the hobby. Drone and Quadcopter Aerial Photography and Video (APV) on a budget. A large percentage of of the new hobbyists taking up this pursuit have interest in the photography and video aspects of quadcopters. People are often impressed when you show them amatuer pics such as the one below – and they want to know how much it costs to set up a similar rig. 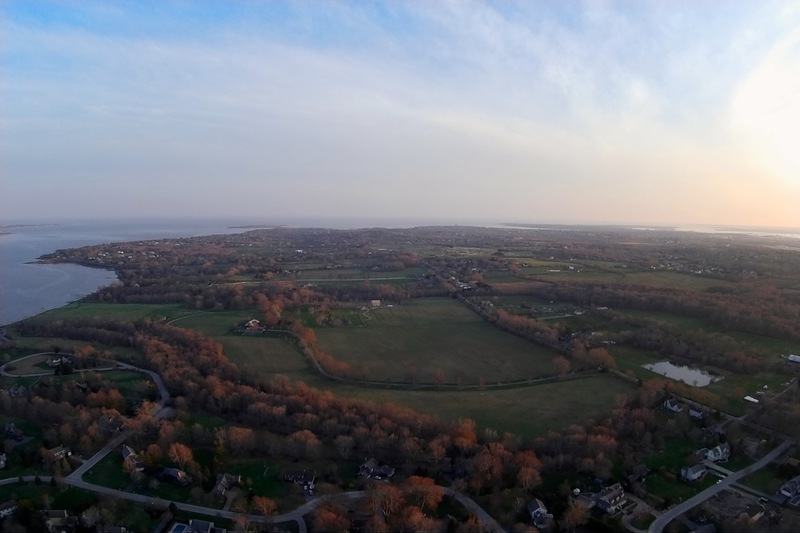 This article will explain some of the options available from $80 to $700 (total) for getting aerial pictures and video. Quadcopter pilots are quite familiar with very small cameras, especially the “keychain cams”, which are very lightweight (20-30 grams) and take video up to 720p. These are capable of being flown by smaller quads than heavier cams like the GoPro, Sony Actioncam, etc. However, even the top-dog keychain cam (the 808 #16) lacks many of the features of the more advanced action cameras. The new Mobius attempts to address many of these shortcomings – and at a price that will please most hobbyist. Let’s take a look at what this camera can do. 2. High resolution still photo capability including time lapse interval shooting – take a picture every X seconds. 3. Advanced settings such as exposure, etc. 4. Loop recording – perfect for use as a dashboard or security camera. First Person View is introduced in our earlier article. As mentioned there, it can be quite a technical endeavor, although some newer machines may come already set up and ready to go. For those who want to understand the systems, we provide the following diagram and descriptions. First Person View gear for drones work differently than the digital cameras we are familiar with. They are analog systems, and therefore use either a different (2nd) camera or an analog A/V output from your existing digital model. This output is coupled to a transmitter with it’s own antenna – and often needing it’s own battery (or a feed from the existing battery). The video signal is then transmitted from the quad down to your ground station and displayed on a small monitor on on the inside of specially designed googles. Many hobbyists prefer to keep the entire FPV system separate – with it’s own small cam. FPV does not require a high resolution, so the camera can be very small and light. You may see these three letters all the time these days but you may not know what it really means. What FPV means is “First Person View” which means a video camera is mounted on the vehicle and broadcasts the live video to the pilot on the ground so the pilot is flying the aircraft as if he/she was onboard the aircraft instead of looking at the craft from the pilot’s actual ground position. FPV allows you to fly much higher and further than you can from the looking at the aircraft from the ground. FPV control allows for more precise flying around obstacles especially with vehicles like quadcopters which can easily fly indoors and through forests via FPV where you wouldn’t be able to see obstacles from a fixed position.